The Croatian Government has now published its initial guidance for UK nationals living in Croatia regarding the UK’s Exit from the EU. For the Republic of Croatia, it is vital to preserve the rights of Croatian citizens in the UK, as well as the UK citizens in Croatia, and provide them with clarity regarding their future status. The Government is preparing 2 draft laws to ensure a smooth transition. Residence registration is very important in the case of any scenario for the future relations between the European Union and the UK. Therefore, all UK citizens and their family members residing in the Republic of Croatia are strongly recommended to register their residence/apply for a residence card as a family member. Please visit the following site: https://mup.gov.hr/gradjani-281562/moji-dokumenti-281563/stranci-333/boravak-i-rad-drzavljana-drzava-clanica-egp-a-i-clanova-njihovih-obitelji/282191 ( available in Croatian); registration forms available on the following links: Form 1b https://mup.gov.hr/UserDocsImages//dokumenti/stranci/2013//obrazac_1b.pdf or Form 2b for family members who are third-country nationals https://mup.gov.hr/UserDocsImages//dokumenti/stranci/2013//obrazac_2b.pdf , Form 3b for permanent residence https://mup.gov.hr/UserDocsImages//dokumenti/stranci/2013//obrazac_3b.pdf ). Once applicants complete the registration of temporary residence in line with the provisions of the Aliens Act (OG, 130/11, 74/13, 69/17 and 46/18), they will be immediately issued with a Registration Certificate (“Potvrda o prijavi privremenog boravka”) in a paper form, free of charge. If they wish, they can apply for a residence card (for which the administrative fee is to be paid in the amount of HRK 79.50). UK nationals who apply for permanent residence will be issued with residence cards (for which the administrative fee is to be paid in the amount of HRK 79.50). Family members of UK nationals, who are not nationals of an EU Member State, are to apply for a residence card/permanent residence card as a family member (for which the administrative fee is to be paid in the amount of HRK 79.50). UK citizens and their family members can register their residence at a police administration/ police station according to their place of residence (The list of police administrations/police stations is available at: https://policija.gov.hr/policijske-uprave/104). The registration of residence and the relevant documents are a clear proof that their holder is a citizen of the United Kingdom or a family member who already resided in the Republic of Croatia before the United Kingdom’s departure from the European Union. Starting from the day on which the United Kingdom of Great Britain and Northern Ireland leaves the European Union, UK driving licences will be subject to regulations relating to foreign driving licences. UK driving licences will be valid in the Republic of Croatia for up to one year from the day on which the United Kingdom of Great Britain and Northern Ireland leaves the European Union. After that, they will have to be replaced with Croatian driving licences and the applicant will have to submit a certificate of medical fitness to drive. UK nationals and nationals of other countries who are holders of UK driving licences are advised to apply for the replacement of their driving licences with a Croatian driving licence as soon as possible. Applicants who submit their application prior to the date on which the United Kingdom of Great Britain and Northern Ireland leaves the European Union will be able to replace their UK driving licences under the conditions stipulated for the replacement of EEA driving licences in which case it is not necessary to submit a certificate of medical fitness to drive. Both the EU format driving licences and the former paper driving licences are equally recognised. UK driving licences are replaced with Croatian driving licences without an obligation to take a driving exam, regardless of the category of the vehicle listed on the UK driving licence. Union law on border checks at the EU external borders on persons distinguishes between controls of EU citizens and of third country nationals. As of the withdrawal date, controls of UK nationals upon entry to and exit from the Schengen area as well as to and from Member States for which the decision on lifting internal controls has not been taken yet but which apply Schengen rules at their external borders will follow the rules for third country nationals. This means that they will no longer enjoy facilitations at the borders provided for EU citizens, nationals of the contracting states of the European Economic Area, and Swiss nationals (“EU/EEA/CH citizens”) related to the free movement rights. 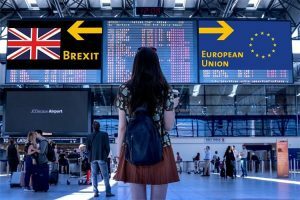 In particular, UK nationals will not be entitled to use the separatelanes provided for EU/EEA/CH citizens to carry out checks at border crossings and will be subject to thorough checks of all entry conditions for third country nationals upon entry. Travellers are advised to verify, prior to travel, the validity of travel documents and to ensure that they fulfil all the above conditions before they travel to the EU. The non-fulfilment of any of the entry conditions may result in refusal of entry issued in line with the procedure set out in Union law with regard to third country nationals. relevant databases similarly as upon entry checks.